There are many legal and protective measures you should take during a remodeling project. The best protective measure you can take is to always get everything in writing and keep a copy in your files. Every time an agreement is made, you should have a written confirmation. This means a contract at the beginning and written change orders, work directives, or confirmation letters when the scope of the project is altered in any way. The homeowner and an officer of the contractor’s corporation should sign these items. Changes to the project also should be noted in any contract with a subcontractor or independent agent. The time to create the contract and change order procedures, and to negotiate terms, is before the project begins. Discuss the contractor’s procedure for dealing with changes or special requests – such as repair work on rooms not included in the main contract or changes in the specifications – as part of the initial contract negotiation. This offers two distinct benefits: 1) Protection against later disputes regarding changes, price or scope of the project, and 2) An up-front understanding of how changes in the project are to be handled and what type of charges will, most likely, be incurred. All change orders and contracts should be executed before any work is performed or materials ordered. In addition, copies of all contracts, work orders or change orders should be available on the job site for quick reference and clarification. Generally, a building permit is required whenever structural work is involved or when the basic living area of a home is to be changed. For example, if you have a home with an unfinished basement and would like to finish off a portion of it for a family room, you would need a building permit in most jurisdictions because you have changed storage space to livable space. Some jurisdictions have strict rules and zoning regulations about this kind of change, others do not. NARI recommends that you do not obtain your own building permits. In most jurisdictions, the individual who obtains the permit is considered to be the contractor and is, therefore, liable if the work does not comply with local building codes. Let your contractor assume that liability. It is part of what you are paying for. It is also the only way you can protect yourself. Other reasons to allow your contractor to obtain the permit include: Contractors know what is required to get a permit, and how the fee structure works. Fees for permits vary from state to state and county to county. For instance, in Arlington, Virginia, a suburb of Washington, DC, a permit costs 15¢ per square foot of the project; while Portland, Oregon, charges 0.01375 for each dollar estimated for the project cost. Chicago, Illinois, charges a set dollar amount per $1,000 of the project estimate for each area of the remodeling project: architecture, plumbing, electrical, etc. It is best to leave these details to a professional. Some states and even cities require licensing and registration for contractors. If your state does require a license to remodel, ask if the contractor is in compliance with the law and ask for a copy of his or her registration and license-then confirm the license number with your local jurisdiction. Having a license number or certificate alone does not tell you whether that license is currently valid. Lien waivers are a form of receipt for payment of services or materials. It protects you from a third party claim on your home for nonpayment by the contractor and prevents having to pay for the same services or products twice. Request a lien release or lien waiver from your contractor for every subcontractor, vendor and supplier who provides labor or materials to your project. You will usually receive the waiver upon completion of the work, or at the time each subcontractor or vendor is paid. Make sure you receive one before you make your final payment, or an equivalent document releasing you from any liability. 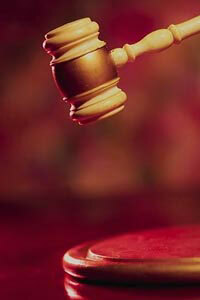 The law varies from state to state as to who is entitled to place a lien on your property. However, if someone does place a lien on your home, it will cloud your title and make it difficult, if not impossible, to sell the property without a costly and difficult resolution and removal of the claim. It is worth the extra effort to track all first-tier subcontractors and suppliers who can prove they supplied products or services that were used in the completion of the project and to record payment by the contractor. Never sign for materials delivered to your home unless you personally ordered the materials or are prepared to be liable for them. Materials should be the responsibility of the contractor. Imagine what would happen if you accepted and signed for a delivery that was not complete or damaged. It is much better to leave these details to the professional. The law states that what is really meant is that reasonable satisfaction is guaranteed. The question is: Reasonable to whom? You don’t want to ask a jury to determine the answer. Whose lifetime? Your lifetime, the contractor’s, the appliance’s (which would defeat the purpose, wouldn’t it? ), or is it the lifetime of the house? It is far better to get a set period of time for the coverage than a vague offer. Once the dust settles on your job, ask your insurance carrier to assess the new value of the home. The remodel will undoubtedly raise the value of your home and the cost of your insurance premium. Keep that in mind when you are preparing your long term budget. At the end of the project, you will be asked to sign a written document stating that the job was completed on that date and that all the components of the contract, including change orders and punch list items, have been fulfilled. This is also when you will be asked to make your final payment. In your excitement of a job fulfilled, don’t forget to ask for those final lien waivers or a contractor’s Affidavit of Final Release before you pay.